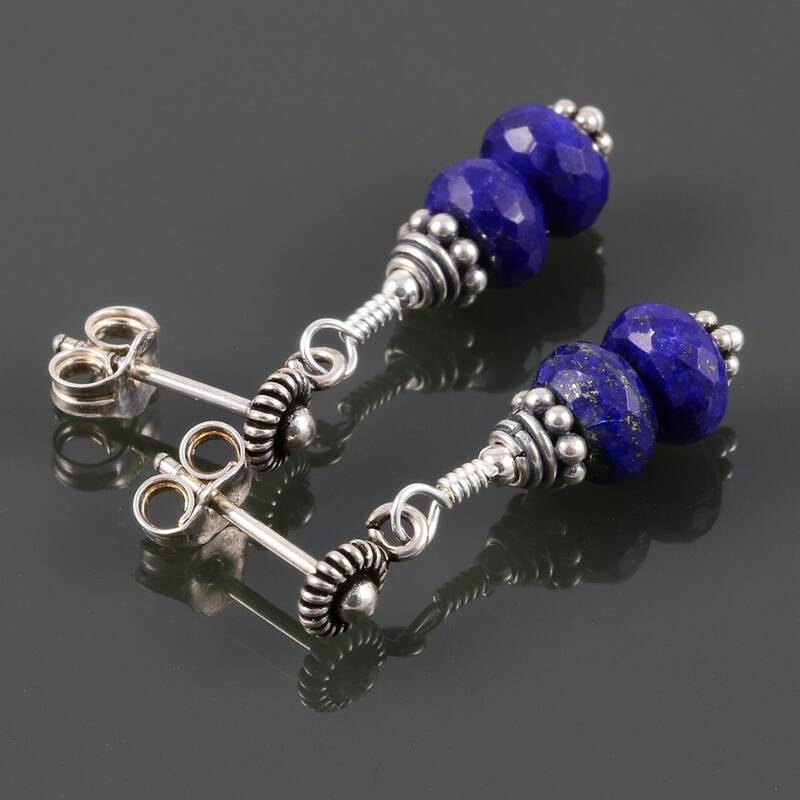 These earrings each have two lapis lazuli gemstones embellished by oxidized Bali-style sterling silver beads. These are great earrings to wear every day! The lapis lazuli stones are a vivid cobalt blue color and have lovely faceting. The ear posts are oxidized Bali-style sterling silver with butterfly clutches. These earrings measure about 1-1/8 inches (2.9cm) in length from the tops of the ear wires. The lapis stones measure about 6mm (1/4 inch) in diameter.